How To Buy A Car: Start With Some Patience A car is one of the larger purchases most people make. How can you make sure that purchase isn't a mistake? Don't "buy it today." Do your research. Don't panic. Easy, right? By my count I have helped some 58 friends (including many colleagues in public radio) buy a car. That's sort of funny, considering I didn't buy a car until I was 37 years old and began reporting on the auto industry for NPR. On Saturdays over the last few years, I have gotten phone calls from friends at car dealerships asking for advice. It's no small financial matter, when the average cost of a new car is roughly $33,000. So if you are reading this while in a car dealership, do what I tell all my friends: Stand up! Leave the dealership! Do not buy a car today! And before you return, take a look at these tips I've gathered from industry experts and public radio friends. Your father may have always loved Hondas, and your grandmother may have always bought Crown Victorias. "Information is king," says Jonathan Collegio of the National Automobile Dealers Association, or NADA. "Consumers should do as much homework as possible," he says, and "have a sense of the market." They shouldn't be afraid to go to a dealership, he says, but they should come prepared. Start with data: Consumer Reports has a list of the best and worst cars. Car company rankings change all the time, and you might be surprised at what you learn — for instance, that Audi, Subaru, Mazda and Buick all rate higher than Honda for reliability. The Insurance Institute for Highway Safety, or IIHS, compiles safety data by car and make. Both sites promise unbiased data-driven information about car reliability and safety. In addition, there are for-profit sites that help with reviews and pricing of cars. Here are just a few: Cars.com, Truecar.com, Kelley Blue Book, CARFAX.com, Autotrader.com, Costco Auto and NADA Guides. Michelle Singletary, a personal finance columnist with The Washington Post, warns that consumers should not "set one toe in the dealership" before doing their homework. Five or 10 years ago when you bought your last car you were that much younger. Your body, your needs and your eyesight have changed. That's why a test drive is so important. Drive the car in the conditions you would use it in — at night on a dark road, for instance, so you can test the lights and brightness of interior lamps. Rebecca Lindland, a senior analyst with Kelley Blue Book, points out that a test drive can help with dealing with family members who have disabilities. She also recommends bringing car seats and pet carriers with you. And she reminds shorter drivers to pay attention to sightlines and especially the A-pillar (which is the beam on the windshield to the left of the driver); it can obscure vision around curves. She also advises would-be buyers to pay attention to something known as the H-point. "When you stand next to the car with the door open, look at how high the top of the seat is. That's called the H-point — where the top of the seat is," she says. Where the H-point falls will give you a sense of ease of entry. If the top of a seat hits below your knees, for instance, you'll have to stoop lower to get into the car. If the H-point hits around mid-thigh, it will be was easier to get in and out. The key is to feel comfortable in the vehicle. At its most basic, purchasing a car is a financial decision that's tied with emotion, and dealers will use tactics that play on your emotions. I would suggest separating the different decisions. Test-drive on one day. Figure out financing on another. Determine the best dealer on yet another. 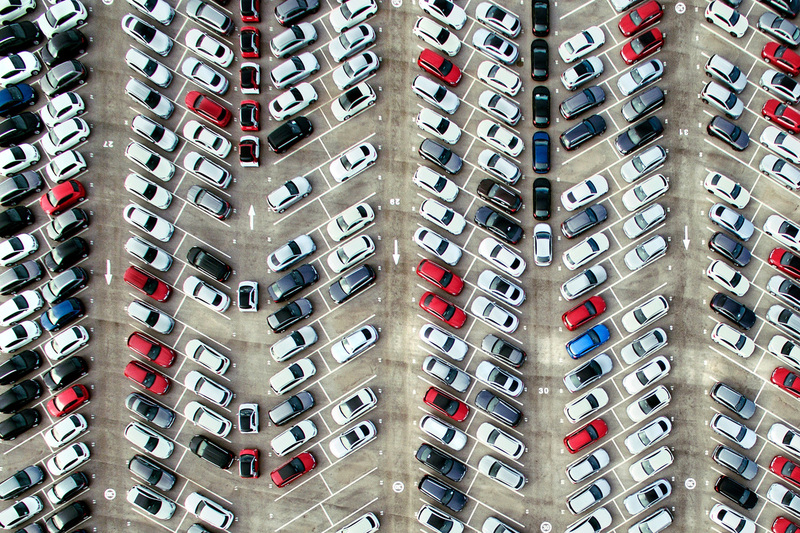 "Remember, their job is to sell you a car today," says Jack Nerad, executive editorial director and executive market analyst with Kelley Blue Book and author of The Complete Idiot's Guide to Buying or Leasing a Car. "If you don't like the experience of how they are treating you, leave," Nerad advises. "You have all the power. Use it. Walk out the door." Dealers often will make you feel like the deal you're getting is scarce, says Camelia Kuhnen, a neuroeconomist at the University of North Carolina at Chapel Hill. That will make you feel like you need to buy a car even if it's against your best judgment. "You can easily survive without that particular car, at this particular dealership," she says. Bringing a friend who will be dispassionate about the whole process and help advocate on your behalf is a good idea, Kuhnen adds. "If you can't pay cash for it, you need to be asking yourself why [you're] buying this car," says Singletary, the personal finance columnist. She suggests checking with your local bank or credit union before you go the dealership. "Negotiate purchase price not the monthly payment," says Lindland of Kelley Blue Book. "You can easily spend hundreds, even thousands of extra dollars by not paying attention to terms." One final tip from Lindland: Avoid car terms that are over 60 months. "Longer term loans help keep monthly payments low," says Melinda Zabritski with Experian, the credit agency. But consumers should be very careful, she says, because "it's easy to find yourself upside down ... dealing with negative equity should they choose to trade it in after only a few years." Collegio of NADA says "it's good to shop around." He advises that you get a rate from your local bank — the dealer will be able to match or meet it. His organization has a guide for auto financing at autofinancing101.org. Ask for incentives. Dealers and carmakers often offer cash incentives, preferable loan or lease terms, gifts and even coupons to encourage consumers to buy cars. Check the manufacturer's website for incentives, and be sure to ask your salesperson. The last weekend of the month is when dealers have the biggest incentive to sell. If you're interested in leasing, negotiate the purchase price of the car first. Deal with the trade-in separately, advises Singletary. Buy less car than you need, and think used (often referred to as pre-owned) to get the best deal. Once you decide on the car, stick with the decision. "Don't settle on color," warns Bates, who's a member of NPR's Code Switch team. "Every time I go outside and see that red car, it makes me happy." When you walk to your car, it should make you happy. And don't forget: You don't have to buy a car today.